For the person who shuns the standard three-bedroom, two-bathroom ranch house, here are some quirkier homes you might want to check out. TAMPA BAY, FL -- For the person who shuns the standard three-bedroom, two-bathroom ranch house, here are some quirkier homes you might want to check out. The Alamar is a custom-built, three-story waterfront home on Pass-A-Grille Beach in St. Petersburg that was designed with a modern flair by renowned Florida architect Michael Dedmore. This five-bedroom, 5,915-square-foot house was built from solid masonry for superior strength. 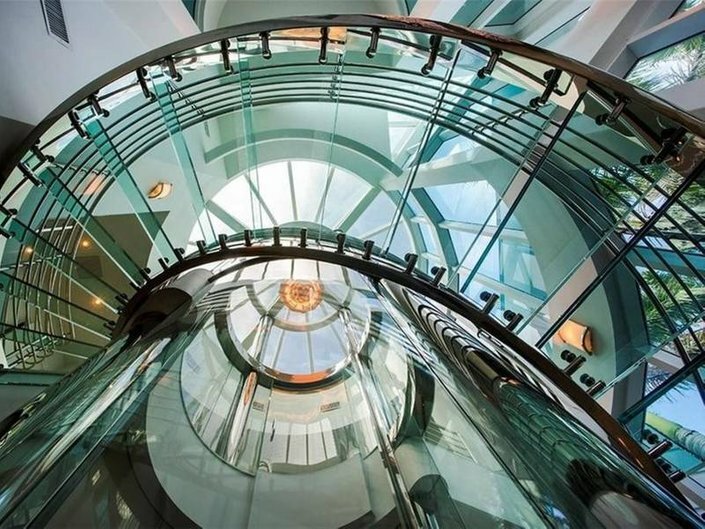 At the center of the home's interior is a 7-foot-in-diameter round glass elevator. VBiews of the beach and Gulf increase dramatically as the elevator rises from the ground floor up to the second and third floors. The living area features a one-of-a-kind 22-foot-high white Carrera marble fireplace. Additional Carrera marble is used for a half-wall dividing the state-of-the-art kitchen and dining area from the living room and additional social areas. The back of the house abuts to the conservation land with a boardwalk leading to the white sand beach and the Gulf of Mexico and offers a pristine natural setting. There is a 36-foot saltwater lap pool along with an adjacent, over-sized whirlpool. Built in 2000, this home is selling for $5.3 million. 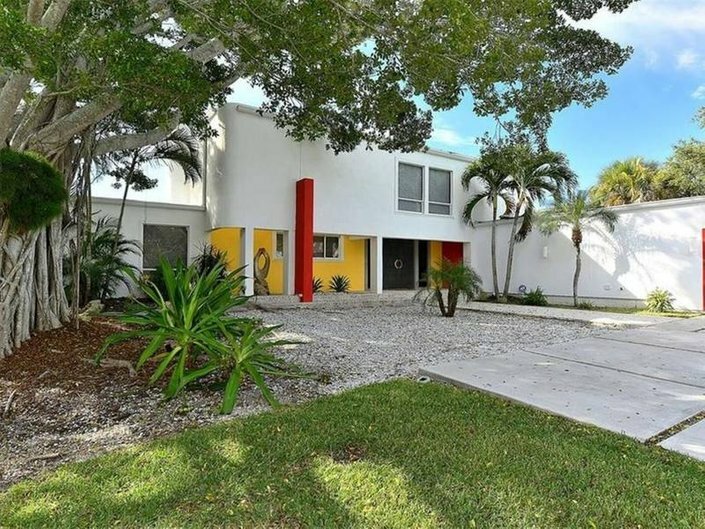 4 Quirky Homes For Sale in Tampa Bay4 Quirky Homes For Sale in Tampa BayThis 5,078-square-foot contemporary villa is located at the corner of two canals in Siesta Key. Its rounded walls and lines are open to an over-sized pool and spa with a water view. Built in 1979, this four-bedroom, four bathroom home is available for $1.9 million, furniture included. Hidden away on Lake Estelle on more than a half an acre, this uniquely designed home is comprised of the main family home and a detached studio. The contemporary 2,500-square-foot main family home was custom built in 1982. Floor to ceiling glass invites in all that nature has to offer. The main house boasts three bedrooms, two baths, dining and media room. The chef-designed kitchen features a commercial six-burner gas range, Sub Zero stainless refrigerator, maple and stainless counters, and a prep island. The expansive deck overlooks the lake. Steps away from the main house is a private 600-square-foot studio. Built in 2003, the detached building provides living space with steps up to a cozy sleeping area/additional office and full bath. The studio is joined to the two-car garage. Below the studio is the workshop. This home is available for $589,500. 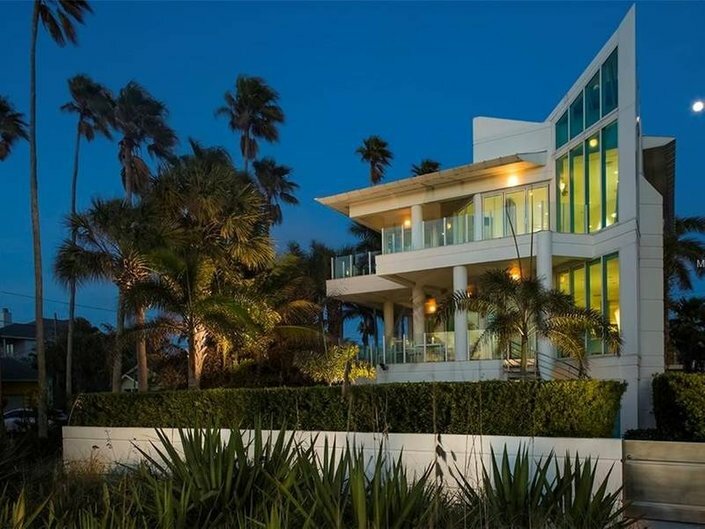 This renovated 2001 modern South Beach-style home is selling for $3.25 million. Located just off Bayshore Boulevard, it includes custom-designed pool with an integrated spa. This 4,554-square-foot home with five bedrooms and 3 1/2 baths is designed for entertaining. The two-story foyer has a flowing staircase. The gourmet kitchen is filled with top-of-the-line appliances and a stone-walled glass wine cellar. There's a man cave with large TVs, a wall of book cases, fireplace and wet bar. The main-level master suite in a private wing has a marble wall backdrop, third fireplace, 65-inch TV, and private lanai. The bathroom has a swing-arm TV, free-standing soaking tub, another fireplace and a roomy shower with three water features.